The ongoing partial government shutdown could soon affect craft breweries in Tennessee if it is not resolved. NASHVILLE, Tenn. (WTVF) — The ongoing partial government shutdown could soon affect craft breweries in Tennessee if it is not resolved. The Alcohol and Tobacco Tax and Trade Bureau (TTB), the agency that approves labels for new beers before they are given the go-ahead to unveil in stores and restaurants, is closed. Many breweries in Nashville are sharing concerns that delays in labeling could mean delaying the release of new seasonal beers. Owner of Tennessee Brew Works, Christian Spears, told NewsChannel 5 that the shutdown could definitely affect his business. As his brewery prepares to release new beers in March and April, they will not be able to distribute said beers without approval of the labels from the TTB. "If the TTB is not able to give us label approval then we won't be able to distribute that beer to all the places we're hoping to do it," Spears said. Linus Hall, Founder of Yazoo Brewing Company in The Gulch, shared similar concerns. However, unlike Tennessee Brew Works, Yazoo Brewing could face more of an issue than having to wait for their labels to be approved. "Usually that's a five to six month process, and right now our application is sitting on somebody's desk not being looked at," Hall said. With a move to Madison planned for the brewery in the coming months, Yazoo will have to wait on their relocation paperwork to be approved as the TTB is also responsible for authorizing the locales of new and relocating breweries. "When the government does open back up and the TTB starts looking at all these different applications, all that is backlogged and right now we're seeing exploded growth in the craft beer industry," local brewer Brandon Jones said. 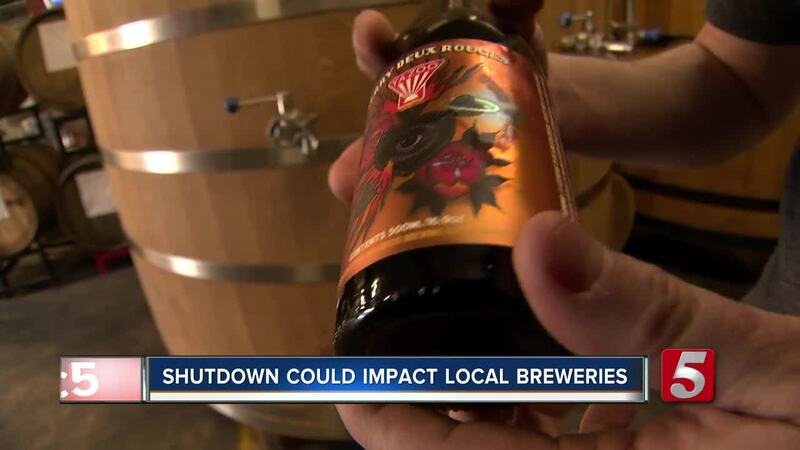 While Nashville breweries aren't feeling the effects immediately, there could be a lot of catching up to do for if and once the shutdown is lifted. 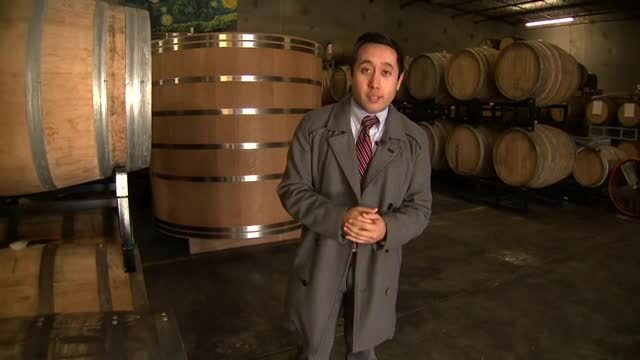 Aside from breweries, wineries could be affected since the TTB also gives approval for labels.